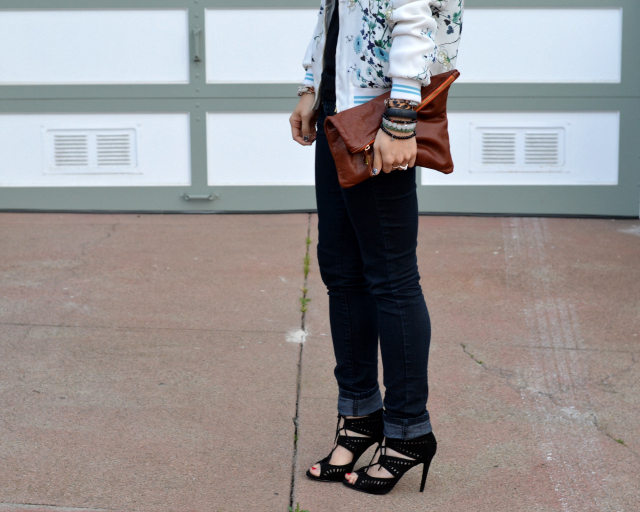 This Zara jacket is one of my most favorite pieces in my wardrobe. As I mentioned when I last posted about the jacket here, I'm not typically the person who will wear Asian inspired clothing. But, this is definitely the exception. I liked the contrast of the white jacket against the dark t-shirt and jeans. It gave my outfit the visual "pop" that I normally add to my looks. What?? this is so adorable! that jacket is ZARA?!?! holy cow. amazeballs. love it! It definitely adds flair to your otherwise dark ensemble. I personally love the beanie in juxtaposition with your killer heels. Wow! That jacket is phenomenal and looks amazing on you! You could not have styled it any better! Love the dark colors in contrast to the white jacket. That jacket is gorgeous. I love that you styled it over darker pieces. The print, especially on the back, is so fabulous! Personally, I'm not too big on floral designs on clothing, but you really pulled this jacket off! Very cute outfit! That jacket is awesome. Love how you wore it. 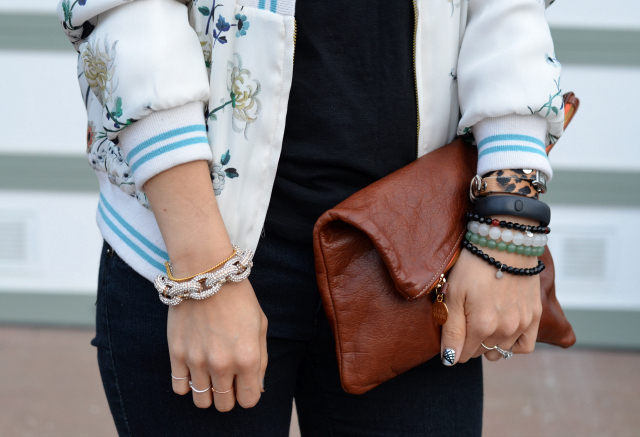 I need to invest in something from Zara - I always love seeing their clothing on others! 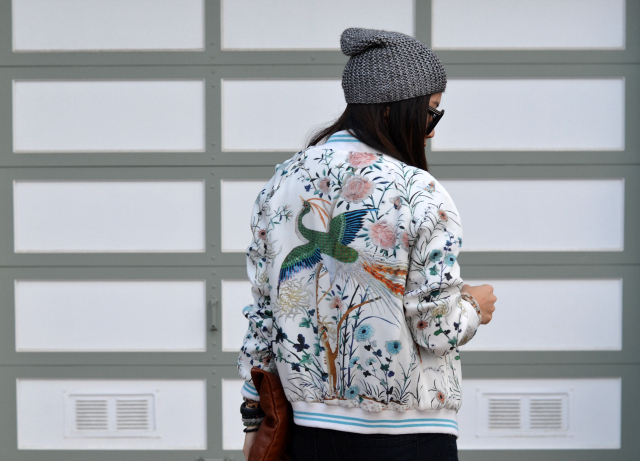 This jacket is so fun, I love the colors and the embroidery! ummm love it, is beautiful!! That is a beautiful jacket. I love all the detailing on it. So chic.